SAD – seasonal affective disorder – can affect anyone, and it usually rears its head in Autumn or early Winter. As the temperature, light, and daylight hours change, people affected by SAD can feel lethargic, have trouble waking up in the morning, and feel low in energy all day. You might even feel anxious or depressed, lose interest in things you usually enjoy, or find it hard to concentrate. The good news for runners is that running has the power to help you deal with SAD and its symptoms. 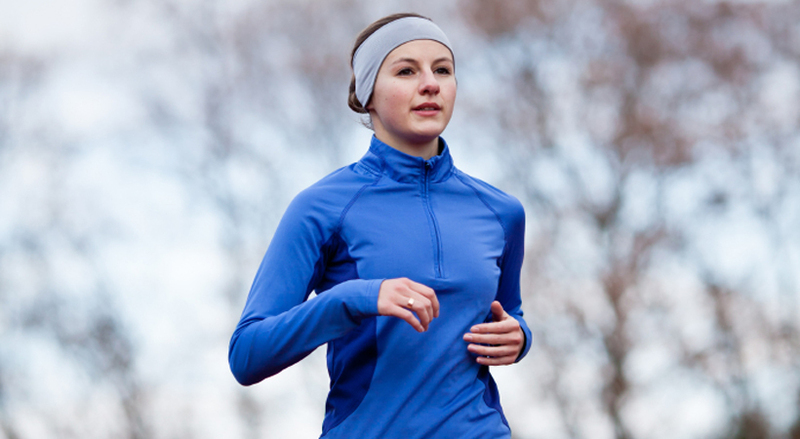 So don’t stop what you’re doing – learn to use running to combat SAD! Some of the best ways to treat SAD are to adopt some simple lifestyle changes. These include making your home and work environment brighter and sunnier, getting outside more during daylight hours, and getting regular gentle exercise. Running will definitely help with the latter two! If your house or office aren’t naturally bright and light, try opening blinds and curtains fully (tie the back if necessary), remove any clutter from windowsills, and sit closer to windows. Maybe it’s time to rearrange the lounge so you can see more sunlight and blue sky from your favourite chair? Spending more time outside during daylight hours is the best way to lift your mood and combat the effects of SAD. So keep running, but try to arrange your schedule so you can run whilst it’s still light. This might mean getting up a bit earlier, or moving your diary commitments around. The upheaval will be worth it – getting more sunlight and fresh air at this time of year lifts low mood, gives you an important dose of Vitamin D, and simply makes you feel like you’re coping better with Winter! Running remains an incredibly powerful way to combat SAD. You all know the feeling of ‘runners high’ from the happy hormones endorphins. Those same hormones will help you keep going through the tough months of Winter and early Spring. So keep running, and get outside for walks, bike rides, or even pottering in the garden. Exercise, combined with sunlight, will help you avoid the worst symptoms of SAD. Some experts believe that running has the biggest impact on mood when it’s combined with social interaction, and when you run earlier in the day. So ring up your training partner, and set the alarm a little earlier. It’s for the good of your health! Clocks Change: 5 Ways To Make The Most Of The Extra Hour!